Long ago the core of DuBois was built around logging, mining, and beer. DuBois has a rich tradition of brewing. It has been decades since beer was brewed on an industrial scale in DuBois. The long dry spell has come to an end. Doc G’s Brewing Company was created to get DuBois back to its roots. Doc G’s is a place where great food, beer, and friends come together to create a true community gathering center. We are proud to bring this tradition back to DuBois and strive to be the pride of the community. We are a unique microbrewery located in an industrial setting. Come visit Clearfield’s first microbrewery. We’ve been brewing beer for over 6 years now and we’ve had nothing but consistent positive feedback on our suds. What changed the tide was a resounding Shakespearean query, "Wherest thou may I procure the finest of your malted brews?" After hearing this questions so many times, we decided to start brewing beer on a professional level – bringing our brews to the masses. But this isn’t just about us, we want to do our part to bring business back to our area one tasty pint at a time! 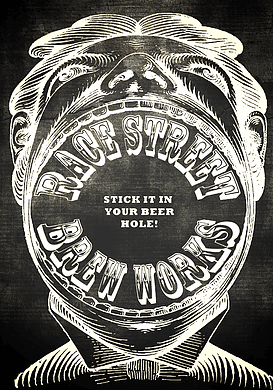 Race Street will be a palace of pale ales, a sanctuary of stouts, a lair of lagers….oh, and by the way, you can get some awesome food there too. It will also be a destination kick back, so relax and share time with friends! Doolittle’s complex along Rich Valley Highway, the artisanal nano-brewery, is unique in several ways. First, it’s taproom is located in a 1920-1930s era baggage car and 1922-1926 boxcar. The brewery is in a 1960-1970s era boxcar with a 1944 transfer caboose for storage. Then, there’s also a 1910-1920s era caboose for private service, as well as a large outdoor seating area. 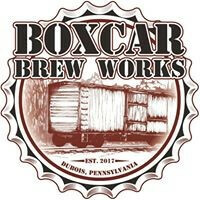 Aside from being what the owner Rice touts as "the nicest bar in a rail car in Pennsylvania," its 20 taps will allow other homebrewers to experiment on a larger scale. Thus its slogan — "brewed by friends." "I thought, there’s tons of people like me, who are brewing in their basements or are working at brewies and don’t get to be the lead person or don’t get to brew their own recipes because they’re brewing someone else’s." Five of the taps will pour recipes like an Irish stout, "just another IPA," an American amber ale, Imperial cream ale, and chocolate stout. Five other taps will be from larger microbreweries that they have ties too. There will also be house made ginger ale and rootbeer, a nitro tap pouring cold pressed coffee, as well as a cider and a meade. As for the other five taps, they’ll be fore the collaborations —the first being a blueberry wheat shandy brewed by Andy Schlimm of St. Marys. "We are built like a modern art studio to support and encourage brewers," Frampton said. "It’s about having fun and enjoying craft beer. It’s about partnerships and friendships."